THE LAST WINTER: Eco-Horror For The Climate Change Era – Schlockmania! Director Larry Fessenden has always worn his personal convictions on his sleeve: of the five features he has made to date, four have had strong themes about the troubled relationship between man and nature. 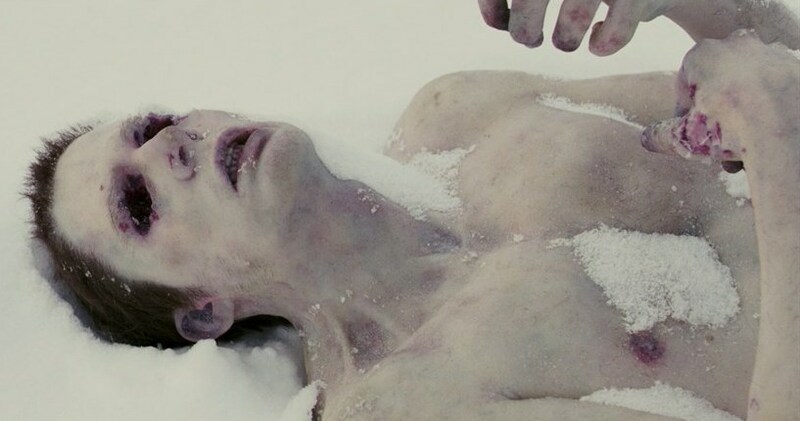 The Last Winter is his strongest statement in this vein, a film that downplays his usually ambiguous approach to horror elements in a favor of a more streamlined and surprisingly slick approach. The Last Winter is set at an Arctic base where tests are being done to determine if the area is suitable for oil drilling. Company honcho Ed Pollack (Ron Perlman) treats the tests like a formality but environmentalist James Hoffman (James LeGros) is trying to make him see they are grave concerns about the stability, given lower than normal temperatures. However, their battle of wills begins to look small when strange things start happening at the base. As workers die under mysterious circumstances, Hoffman realizes that something that goes beyond climate change is going on, something that no man can control. It’s an archetypal structure for a revenge-of-nature tale but The Last Winter is saved from feeling too familiar by a couple of things. 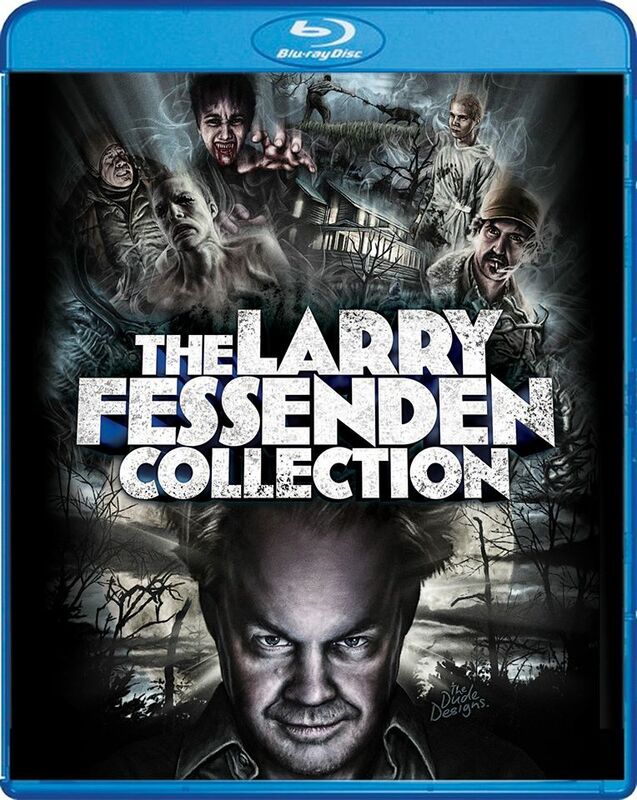 The first is Fessenden’s commitment to the message: he’s careful to couch the drill-or-not debate in well-researched specifics and mixes in a little documentary footage to sell the realism of his ecological concerns. Thus, the ecological component isn’t a pretext to set up the horror – it is the horror. Fessenden also keeps his story fresh by populating the tale with low-key, carefully shaded characterizations: Hoffman is more pragmatic than preachy about his ecological concerns and Pollack, while showing some nasty qualities, is more a victim of middle-aged uncertainty than an out-and-out villain. As they realize that the epic sweep of nature dwarfs their human-size concerns – a recurring Fessenden theme – their reactions remain believable to the bitter end. It helps that Fessenden has his best cast to date here: LeGros radiates a quiet intensity as the story’s man of science while Perlman shows a vulnerability beneath his usual grizzled charisma. The supporting cast is equally excellent: Connie Nielsen shines as the resourceful, no-nonsense company woman caught between the attentions of Hoffman and Pollack, Kevin Corrigan brings wry humor to his role as the company-man mechanic and Zach Gilford does some haunting work as the first member of the crew to awaken to nature’s impending wrath. 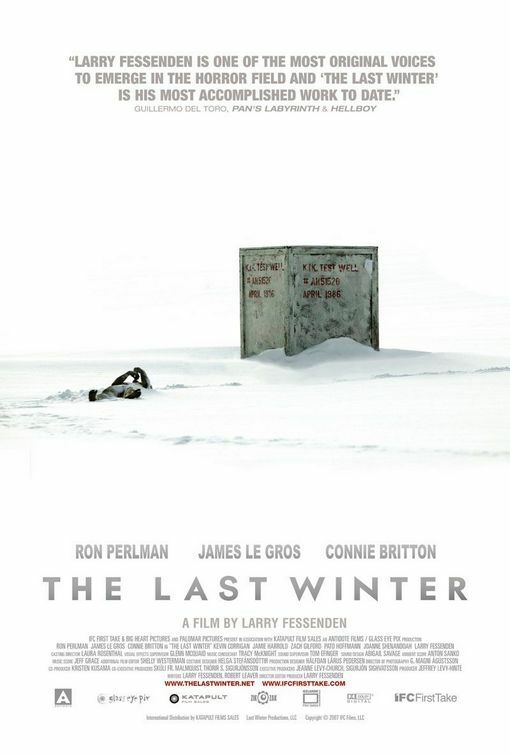 Finally, The Last Winter benefits from confident direction by Fessenden. Shooting in ‘scope for the first time here, he works with cinematographer G. Magni Agustsson to create stark imagery that captures both the beauty and the otherworldly quality of the film’s Icelandic locations. This film is more upfront about its horror elements than his other films and he stages the horror sequences with a knack for eerie atmosphere and periodic flashes of kinetic style (a dramatic plane crash scene is a highlight in this area). He brings a mournful element to his mini-apocalypse, a quality teased out by Jeff Grace’s lovely yet sad score. In short, The Last Winter is probably the best place to start for a Fessenden neophyte as it is his most accessible work. That said, it’s worth noting that his gestures towards accessibility never short-circuit his themes or his subtly chilling approach to them. Blu-Ray Notes: The Last Winter has recently been issued on blu-ray as part of Scream Factory’s The Larry Fessenden Collection. The transfer makes the most of the film’s ‘scope-format photography, bringing depth and detail to the wintery locales and capturing the subtle, pale color scheme well. Both 5.1 and 2.0 lossless stereo mixes are included: the 5.1 was used for this review and offers a rich, multi-channel soundscape, particularly in the outdoor sequences. As with the other discs in this set, The Last Winter is stacked with extras. The first is a commentary track by Fessenden. It offers his usual, deeply analytical mélange of thematic thoughts, info on his directorial choices, appreciations of his cast and notes on his influences. He also offers up some interesting details on the sound design. However, there is a making-of documentary that is even bigger. This exhaustive piece runs 106 minutes and captures all phases of filmmaking via copious behind-the-scenes footage plus interviews with cast members (they sing the director’s praises). Fans will be interested to note that there also a few deleted scenes from the film thrown in at the end. “Archival Footage” offers an additional 17 minutes of video along the same lines, including Ron Perlman participating in a practical joke and some footage of the visual FX being worked out. Next up are a trio of short films that Fessenden made to help promote Stake Land: Origins, Jebediah and Mister. All of them run under six minutes and offer a mixture of moods from pensive to artsy to darkly humorous. 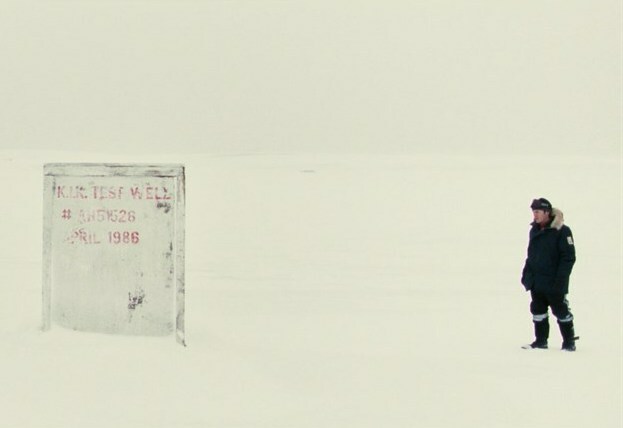 “Tired Of Killing Myself” is the music video for a song from The Last Winter that Fessenden recorded with his band Just Desserts. It’s shot in stylish black and white and fans will enjoy seeing the director play the saxophone. A sizzle reel devoted to Glass Eye Pix’s features rounds things out and it’s the flashiest and most visceral of the sizzle reels on this set.